Lighting is a critical element in every American household. Beyond mere functionality, the amount and type of lighting strongly influences the ambiance in your home and has an effect on your energy costs, as well. Lighting solutions have evolved over the years, from the candlelight and oil lanterns of centuries ago to the advent of the incandescent bulb in the early 1800s. Today, lighting solutions have evolved even further, adding to the many benefits that lighting can provide. By exploring some of the top innovations in lighting for home use today, you may be inspired to make a few changes around your house. By now, most people have heard about LED lights, but you may not be aware of how truly beneficial they can be. Designed to be an environmentally friendly and safe source of illumination, this type of lighting is an ideal replacement for the traditional incandescents, which are gradually being phased out of use in the United States. LED bulbs are long lasting, so you will not have go through the time, expense, and hassle of replacing them frequently, not to mention the impact on our country’s landfills. They are also cool burning, reducing potential risks that may range from scorched fingertips to serious household fires – a safety measure which is especially important in homes that include small children and/or pets. In addition, LED lights use up to an impressive 90 percent less energy than their standard incandescent counterparts and approximately 50 percent less than even energy-saving incandescents. This reduction in energy consumption makes your home more green and significantly reduces your utility bills. Compared to compact fluorescent lamps (CFLs), LEDs also make a strong showing, as they are non-toxic (unlike fluorescent fixtures, which contain the heavy metal mercury), sturdy, easy to retrofit into your favorite fixture or prized vintage lamp, efficient at any temperature, and silent. Many features in a modern home (such as the heating and cooling system, for example) are now smart as well as wireless, and lighting is no different. You will now find wireless ambient lighting solutions available that can be used in combination with smart home controls for improved accessibility. Some offer the possibility to adjust both the hue and intensity of your lighting to complement the background music or noise in the home. If you’re not a morning person, you can even program your lights to come on with minimal intensity that gradually increases to help you ease into your day at a comfortable pace. These are only a few of the various uses and benefits which are provided by wireless ambient lighting. Making a change to the use of innovative lighting in the home offers you clear benefits, but it can seem like a major undertaking to make an upgrade. Regardless of whether you choose simply to install LED bulbs in your home or you want to make a more significant upgrade to take advantage of wireless ambient lighting, keep in mind that either of these upgrades will not only increase your immediate enjoyment of your home, but also tend to add value to your home when you put it on the market. Take the time to research these options further and decide if they are right for you. 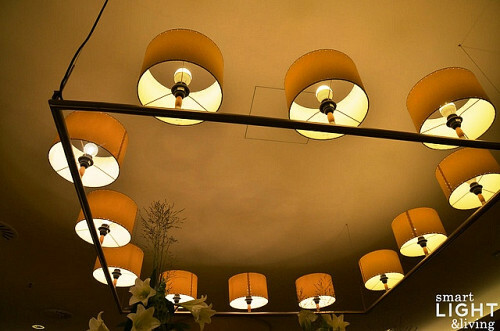 Contact a professional electrician for knowledgeable suggestions about the best type of lighting for your living space. Adapted from an article submitted to Networx by Jenny Holt of Wired.